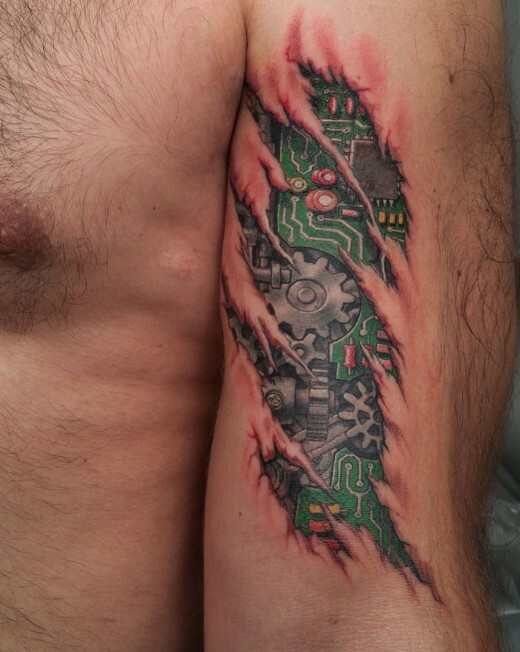 Bio-mechanical tattoos are basically tattoos depicting human robotics. 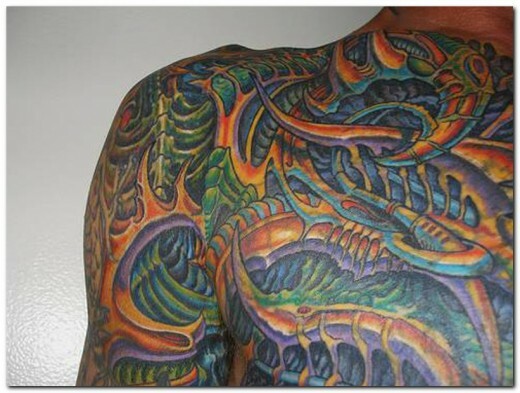 They are a style of tattoo popularized by illustrator H. R. Giger, the designer of the creature from the Alien movies. 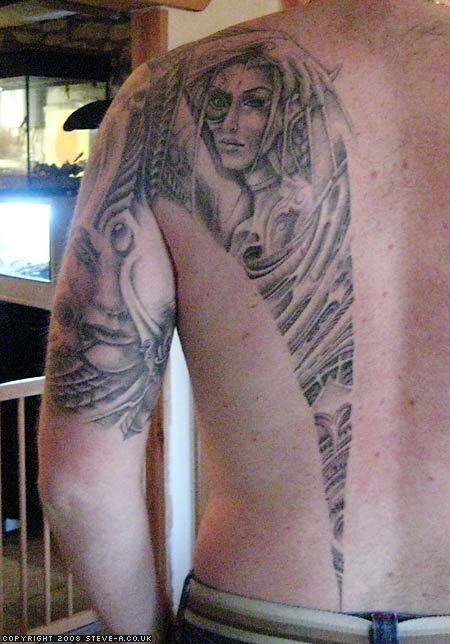 Bio-mechanical tattoos are most commonly recognized as showing flesh intertwined with machines or mechanics. 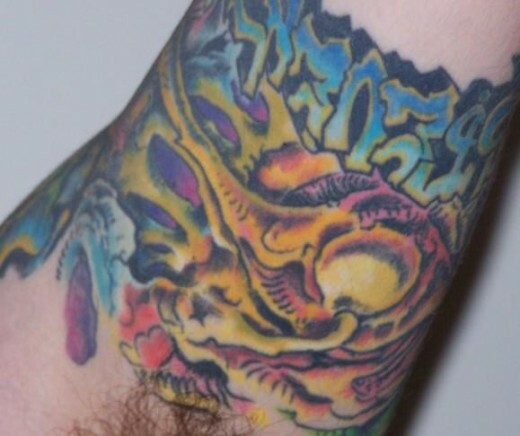 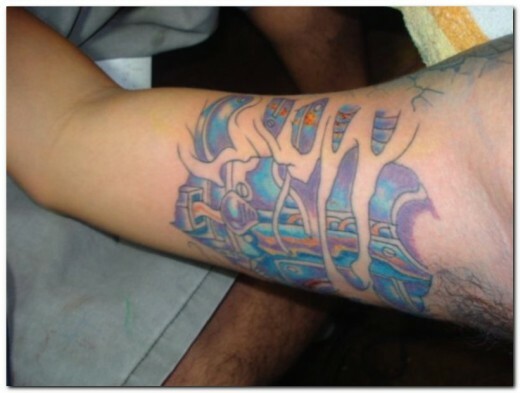 The popularity of biomechanical tattoo dates back in the 80’s. 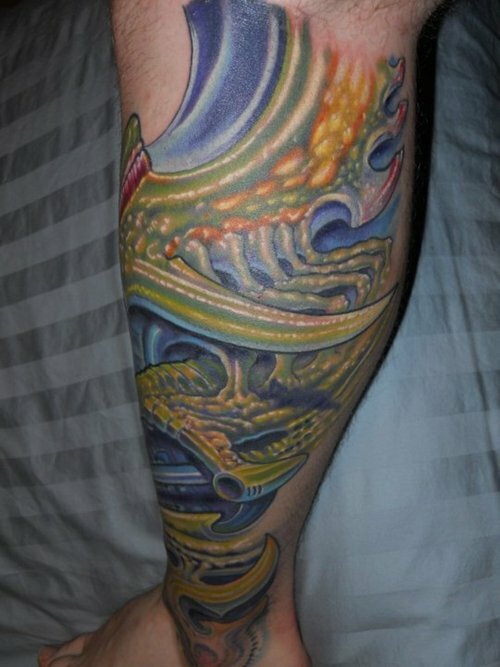 Today in this 21st century also the popularity of the biomechanical tattoo has not yet. 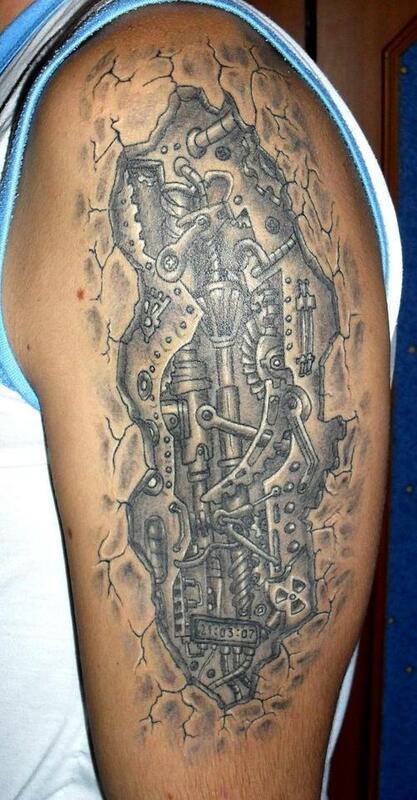 The main idea behind this of tattoos is the entanglement of life with mechanical. 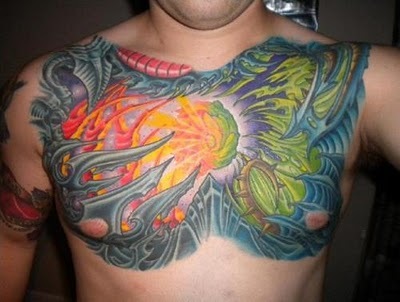 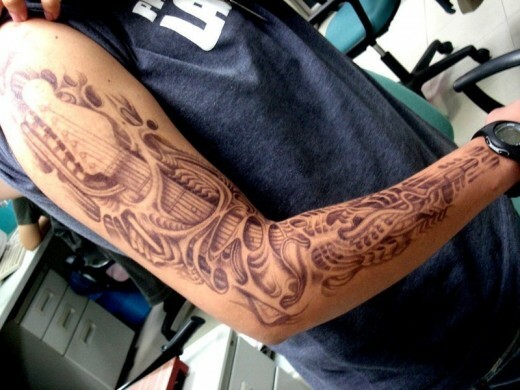 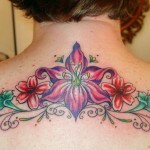 Biomechanical tattoos are rising very fast in popularity as the blend between man and machine is becoming ever closer. 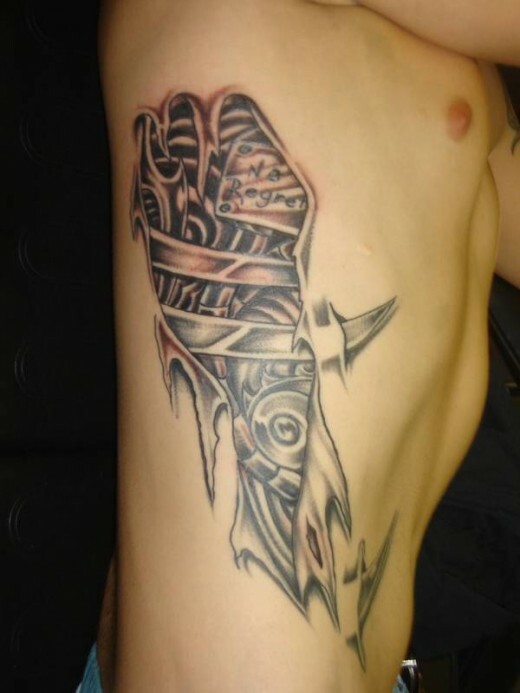 A relatively new style of tattoo, biomechanical images use some of the most cutting edge technology in the tattoo industry. 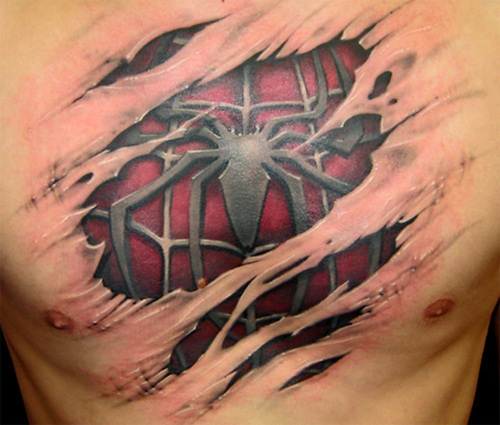 Many are in 3D and are truly awe inspiring pieces of art. 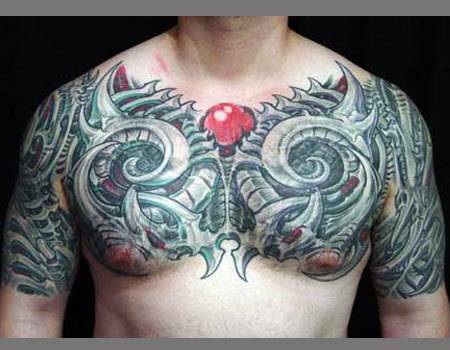 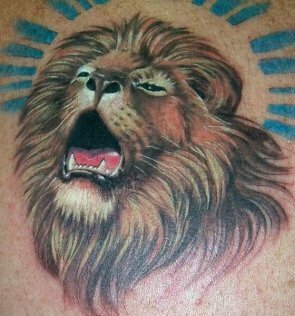 Not many tattoo artists will attempt these daring designs, but for those you that insist on having one they are one of the most attention grabbing tattoos around. 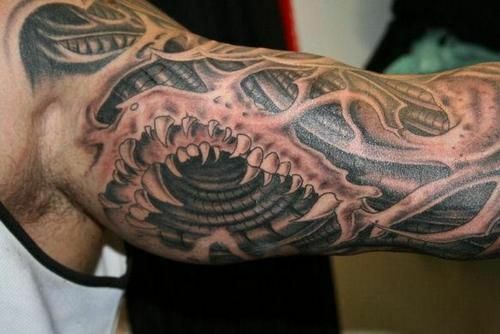 The jury is still out on the exact meaning of Biomechanical tattoos, but most represent our connection with machines and the belief in future technology.